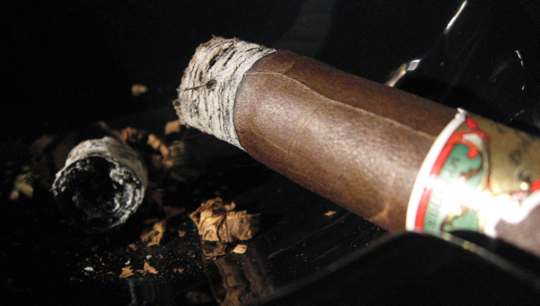 My Father Cigars S.A. has a rich history in the Cigar world and a vast amount of blending experience in it’s ranks. The infamous Garcia family is behind this growing company and factory based out of Nicaragua. The Garcia family includes the well respected Don Pepin Garcia as well as his up and coming son Jaime Garcia. Together they are responsible for a variety of great cigars including the the My Father lines and the Tabocos Beaez cigar lines, making up a total of 5 cigar lines. 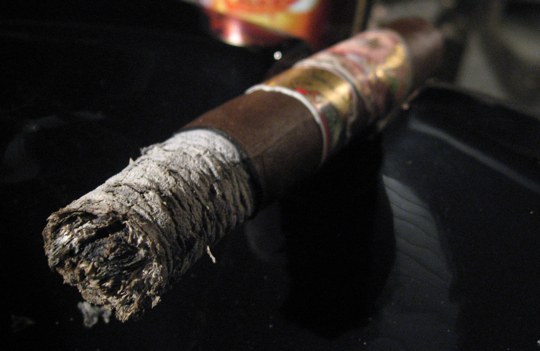 The Garcia family is also involved in a variety of other cigar lines not under the My Father name. Some examples include the Don Pepin Garcia line, the Jamie Garcia line, some Tatuaje cigars, the Ashton San Critobal line, El Rey De Los Habanos and many others. He has also been the creator of a variety of house blended cigars for many different Brick & Mortar Cigar shops. His son, Jaime Garcia, is just recently making a big splash in the cigar world with his original My Father cigar and the newer Jamie Garcia Reserva Especial. Between these two gentlemen, there are a variety of great cigars attached to their name. Aside from blending, the My Father Factory is also the home production facility of some other cigars such as the Nestor Miranda 1989 and the recently released Guillermo Leon line. The My Father Le Bijou 1922 is blended by Don Pepin Garcia himself as a homage to his father. The name “Le Bijou” means ‘The Jewel’ in French and the year 1922 is the year his father was born. 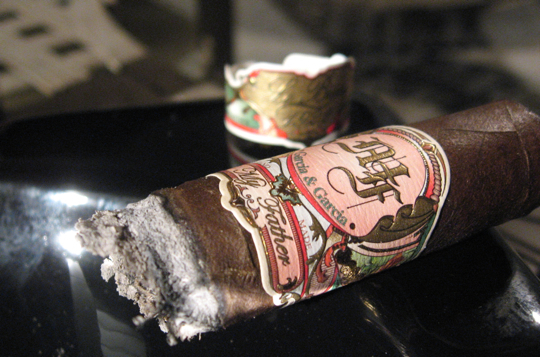 Don Pepin set out to make sure this was an excellent smoke worthy of his fathers name. 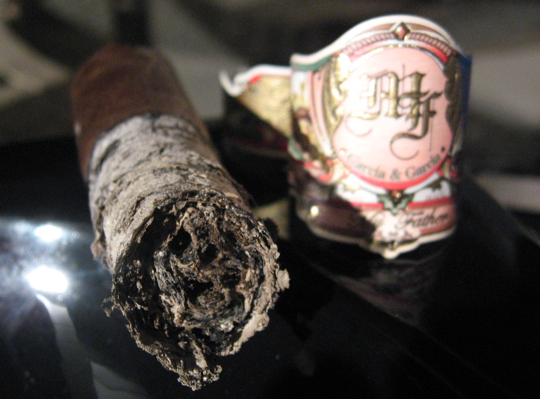 The wrapper used in this cigar is extremely rare and very difficult to grow. The Pelo de Oro wrapper (commonly called Nicaraguan Habano Oscuro) is not common due to it’s sensitivity and has hardly ever been used for a large number of years. 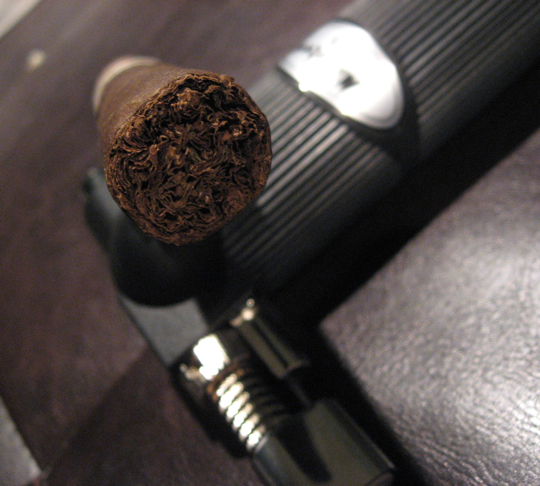 It comes in asa lighter and creamier version of a traditional Oscuro. 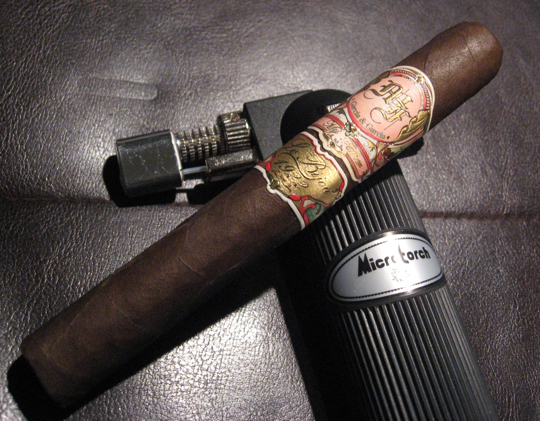 Being a Nicaraguan Puro cigar, this Le Bijou 1922 is made completely of Nicaraguan tobacco. Let’s see how this rare “Jewel” fares in today’s review. • I can’t emphasize enough how smooth and balanced the cigar is as I apporach the halfway mark, the finish is just right, not even a touch of dryness. I could smoke this easily without a beverage! This was a very enjoyable cigar. The My Father Le Bijou 1922 had lots of interesting flavors and they changed up frequently keeping my palate constantly searching for the new notes. 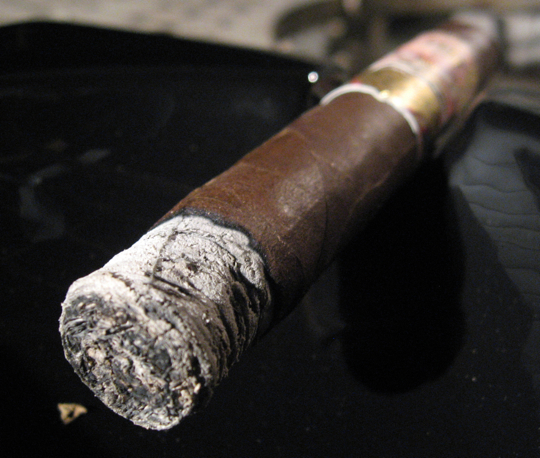 This is definitely the type of cigar you want to sit down and pay attention to in order to get it’s full experience. All factors considered I don’t really have anything I can complain about, from the pre-smoke visuals right down to the nub there was nothing I can say I didn’t enjoy. The one gripe if any about this cigar will be the price, it rings in at over $11 and that may turn away some customers but I have to say it is a worthwhile investment. It may not make it into your regular rotation for some people but it’s definitely worth having some around. The construction, dimensionality, flavors and smoothness all make it a great experience. The Unibroue brewery from Quebec, Canada is quickly making it’s way to the top of my favorite breweries list. I’ve said this before but their brews never disappoint. 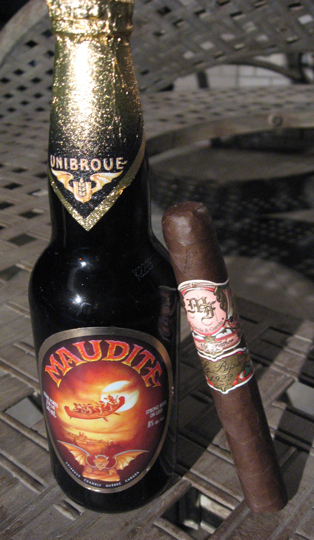 I’ve included the La Fin du Monde by Unbroue in a previous pairing for the Arturo Fuente Hemingway Short Story. The standard bottle size comes adorned with a gold foil wrapper top and an odd label with a demon and some people paddling a canoe in a red sky. The flavors are incredibly complex bringing a variety of hoppiuness, bitterness, fruitiness, and even a slight floral note. It is uniquely refermented on a yeast base and clocks in at 8% alc./vol. It’s definitely worth trying and although not the best pairing here I think it actually added a layer of interesting flavors to this already complex cigar. It may come as no surprise here but I think a Port would have been the perfect pairing for the cedar, spice and creamy notes of the Le Bijou 1922. Other good pairings would include red wine, scotch, coffee or a dark soda. Wow, great review! I really really did enjoy this cigar also. I agree with the viusal pleasure of it also. The price point is a bit steep, but for special occasions, say Tuesdays it is a great one. Great pics too. Thanks Tadd! It was really a beautiful cigar! If you think the Toro is good wait until you try the Petit Robusto. Awesome smoke. I’ve heard good things about the Petit Robusto size, I gotta try to get my hands on a few soon! Maybe if you are a good Ill send you one for Christmas. Dan, I agree the Jaime Garcia Reserva Especial’s are great smokes as well. I think I might have one left. I’m usually not a huge fan of the Garcia stuff because I’m not a big fan of the common pepper signature they have. 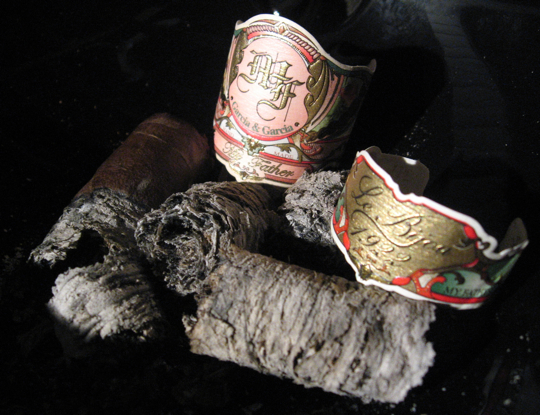 But the Jamie Garcia Reserva and this Le Bijou 1922 were both so smooth and balanced, i really enjoyed them both. Right on Dan… I just cracked a box of the Grand Robustos….. Yes sirrrr…. a thing of beauty!